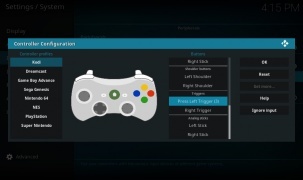 The PlayStation 4 controller has a quirk where triggers send both a digital button press and an analog value. 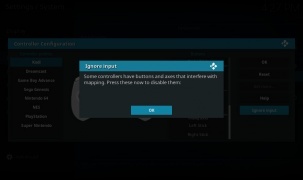 This causes problems when mapping triggers in the controller window. 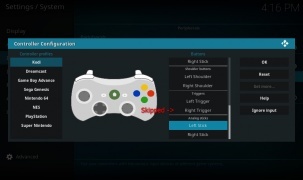 The steps here are also documented in the article HOW-TO:Fix buttons skipped while mapping. If you continue pressing the trigger after the button is detected, it will ignore the axis too. In this case, the trigger can't be mapped at all. Simply cancel the dialog and try again. 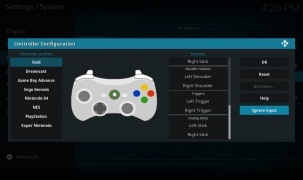 Once Kodi knows to ignore the digital button presses, the trigger's analog values can be mapped successfully. This page was last edited on 10 February 2017, at 08:31.